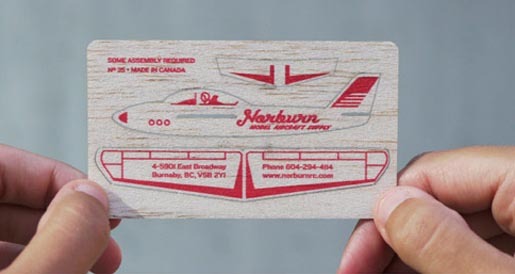 Norburn Model Aircraft Supply in Burnaby, British Colombia, Canada, specialises in model and radio controlled planes and helicopters. 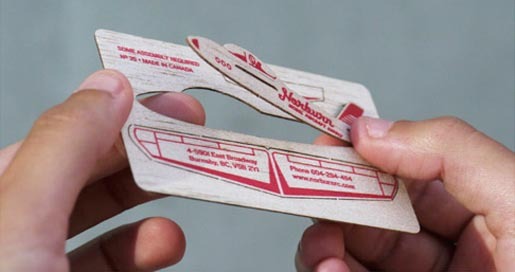 Their business card is a laser die cut balsa wood glider set with the company’s details on the top of the wing. 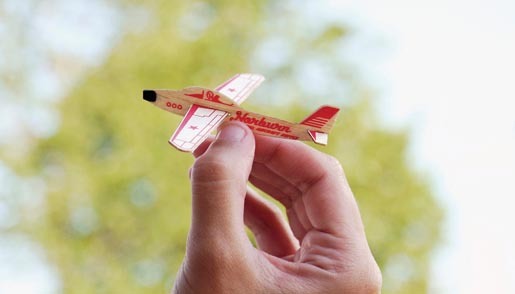 The Norburn solution was developed at Rethink Canada, Vancouver, by creative directors Ian Grais and Chris Staples, art director Jeff Harrison, producer Sheila Santa Barbara.